On Thursday, Filipino authorities released from custody eight Israeli citizens arrested at the beginning of the month for allegedly orchestrating an international stock market scam. The decision came about after the Filipino prosecutor general told the court that an investigation did not currently support the suspects’ guilt. 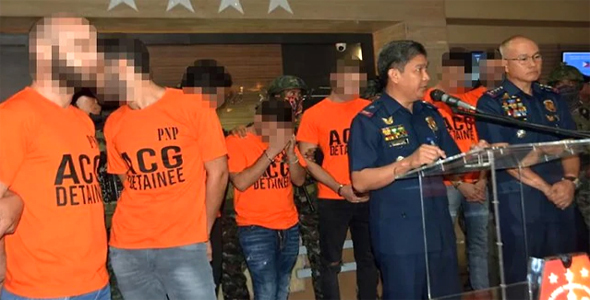 Earlier this month, Filipino Police’s Anti-Cybercrime Group stormed the offices of Philippines-based International Branding Development Marketing Inc., or IBD-M, arresting 482 of the company’s employees for allegedly selling stock in a non-existent British company. According to The Manila Times, the arrest was the result of several complaints levied against the company by Australian and South African citizens, who claimed that the company cheated them out of hundreds of thousands of dollars by gaining access to their credit cards and bank accounts. In a document submitted to the Filipino court last week, acting prosecutor general Jorge Catalan Jr. said that the Israeli suspects’ arrest was not based on the allegations made against them. Unless there is another justification for their arrest, they should be released, he said, adding that the allegations against them will be reviewed as part of the investigation that will begin on July 6 under the Department of Justice. The Filipino prosecutors have decided there is no probable cause for arrest in the case due to lack of evidence, an IBD-M spokesperson told Calcalist. The Israeli suspects are represented by Israeli attorneys Ronen Rosenbloom, Jacques Chen, and Stav Saar.